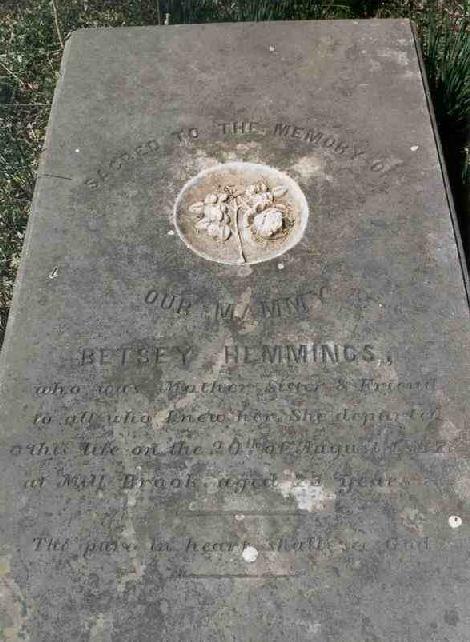 This is Betsy Hemmings's grave, located in Buckingham County, Virginia. The inscription reads: "Sacred to the memory of our Mammy, Betsey Hemmings, who was Mother, Sister and Friend to all who knew her. She departed this life on the 20th of August, 1857, at Mill Brook, aged 73 years. The pure in heart shall see God."